***This is a Final Sale*** No returns will be accepted. Close out pricing on $150.00 MSRP glove for $45.00. We feel the glove runs large. Take into account when ordering. Adidas' new Evo Zone Tech latex for best catching performance and control. Specifically engineered areas on the glove to perfect your game. The palm features ergonomically designed flex zones to help prevent against latex bunching when the goalkeeper makes a fist. Yes, Improved Fingersave technology in the fingers for durability, protection, and comfort. These fingersave spines offer the goalkeeper the ultimate experience in feel and support. A full latex backhand for extreme comfort and feel. The backhand also features a rubberized punching zone (webbing) to help protect the goalkeeper's knuckles when punching the ball. Close fitting neoprene bandage, with revolutionary fit that offers excellent comfort and support. The wrist strap features Adidas' stretch strap for individual fit and adjusments. Comes with a mini bottle of Adidas Glove wash. 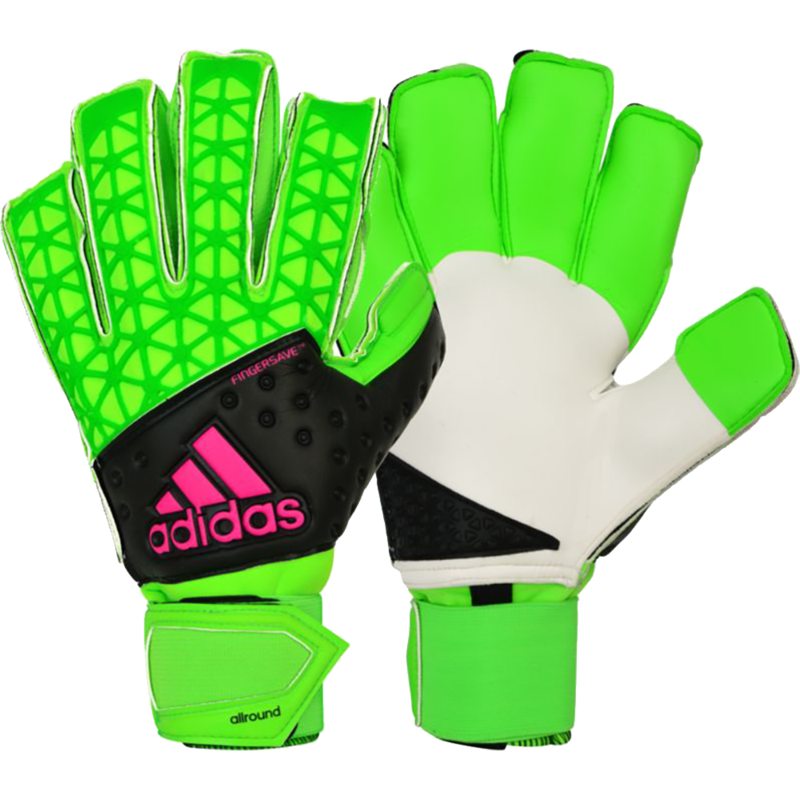 Worn by Pro's like Manuel Neuer and Petr Cech.